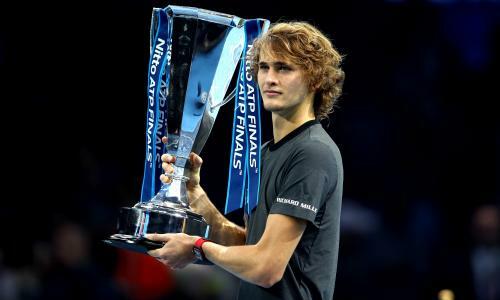 Alexander "Sascha" Zverev ([ˌalɛˈksandɐ ˈzaʃa ˈtsfɛʁɛf]; Russian: Александр "Саша" Зверев, IPA: [ɐlʲɪˈksandr ˈsaʂə ˈzvʲerʲɪf]; born 20 April 1997) is a German professional tennis player. He is currently the youngest player in the ATP top 20. Zverev finished the 2017 season ranked world No. 4. He is the son of former Russian tennis player Alexander Zverev Sr. and the younger brother of tennis player Mischa Zverev. 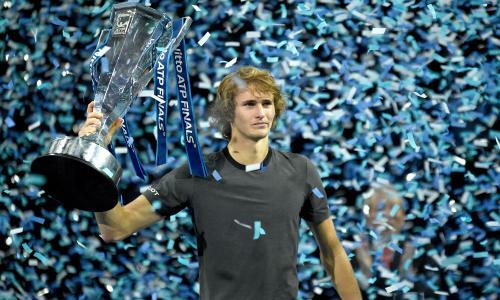 In May 2017, Zverev entered the ATP top-10 for the first time after defeating Novak Djokovic in the final of the 2017 Italian Open, thus winning his first Masters 1000 title. The win would make him just the 4th different player to beat Djokovic in a Masters 1000 final, after Nadal, Murray, and Federer. He won a second consecutive Masters 1000 title when he defeated Roger Federer at the 2017 Canada Masters, eventually reaching his career high ranking of World No. 3.